La Flame’s third album has been a long time coming, but it’s been well worth the wait. With a star studded cast ranging from Drake to James Blake, Scott has created a future classic of psychedelic rap. 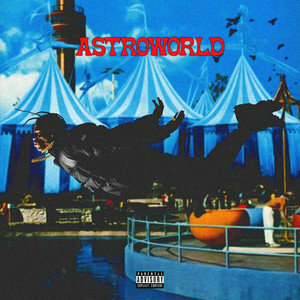 Sonically, Scott pays homage to the trippy sounds and artists of his hometown Houston and the now defunct ‘AstroWorld’ theme park. This album is also more personal – Travis admits his drug addiction, and opens up about his relationship with his baby mama, Kylie Jenner – and the rest of the Kardashian clan. It is a psychedelic album and if autotune is not your thing, it might not be for you. But Scott doesn’t use autotune as lots of pop singers do – to flatten out their voice and get rid of imperfections. He uses it to make up for his inability to sing at all, and the end-product is relaxed frog. Astroworld has better production, catchier hooks, and fewer cringey lyrics (although, let’s be honest, we don’t really care about that when listening to Travis Scott). It’s less trashy and more groovy than anything he’s produced, but you can still turn up to it. Unlike his past two, there are no real let-down songs in the album; they’re all solid or above. There are only a few pop hits on the record, but the rest will grow on you after a few listens.